Heracles rescued Princess Hesione of Troy from the Cetus (Sea-Monster). 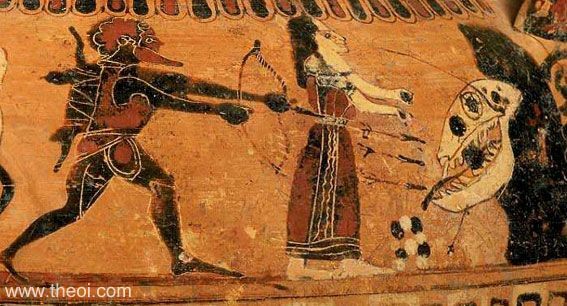 The hero plies the monster with a volley of arrows from his bow. The Cetus is depicted as a serpentine beast with a gaping maw and jagged teeth.